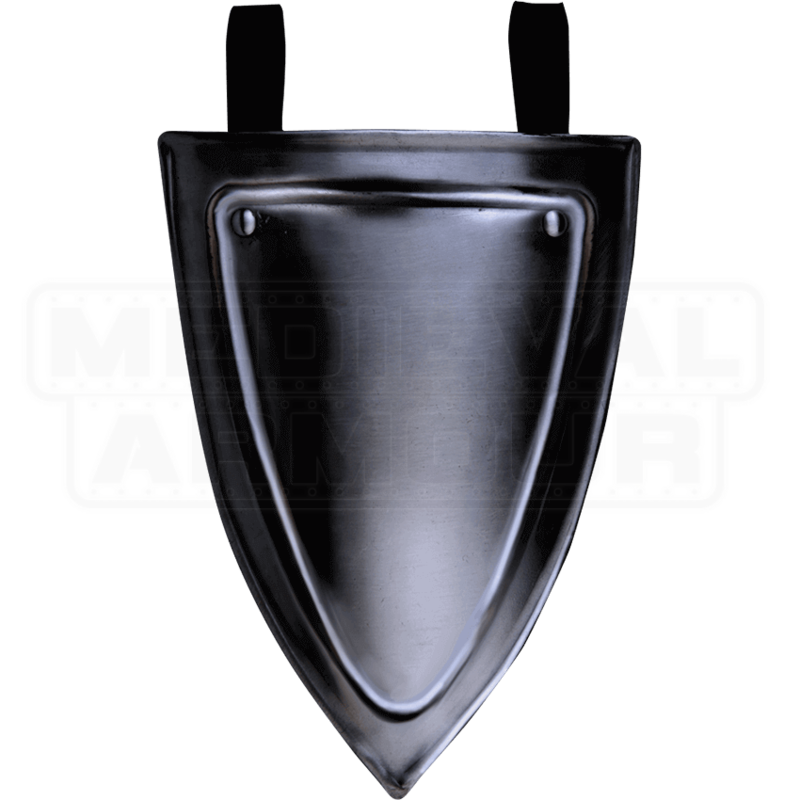 Further your defense on the battlefield and customize the look of your LARP character with the Blackened Adam Shield Tasset. 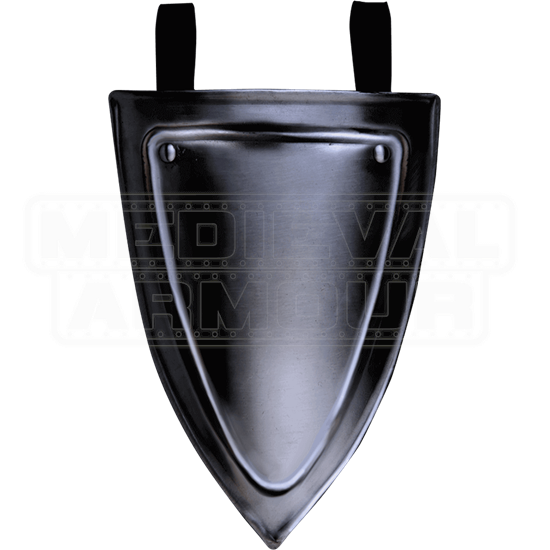 It offers protection to the thigh area while also serving as a great way to display your own personal herald. Like the rest of the armour pieces in the Adam series, this belt shield is decorated with corrugated detail along the rim. It is crafted from an 18-gauge steel with blackened finish. The triangular center is the perfect spot for self-customization. The attached leather loops slide easily over a belt.